We have launched a new series of reproduction "size-S reproductions" on Atelier NISHI online shop! 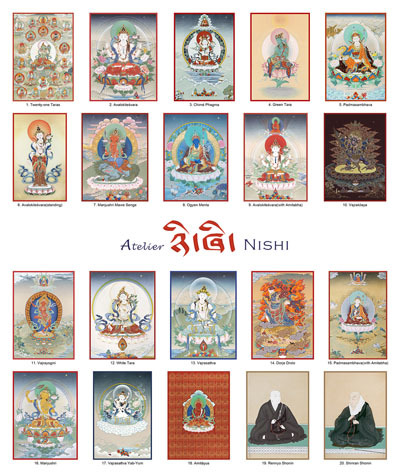 20 Thangka reproductions printed on A4 size Archival paper include some Thangkas which had not been listed yet in our catalog are now available with reasonable price!! The English and French version are coming soon. Click the image below to check the new website!